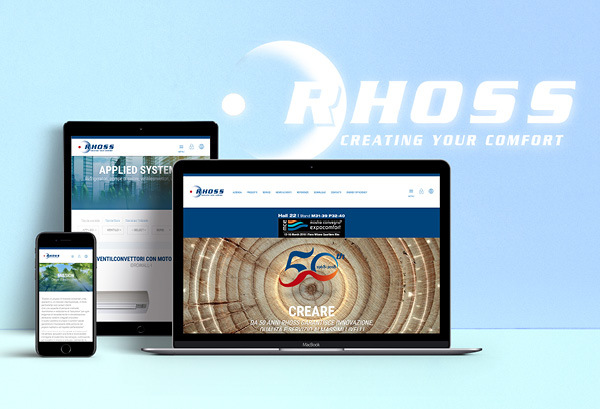 Visit the web-site www.rhoss.com to have an unique and intuitive experience in HVAC market. • Products search by catalogue, type, power, webcode and free description. • Customers references directly on homepage. In addition a dedicated section of fan coil. • Folder, pdf, user manual and technical notes accessible directly from the product page for those with a Rhoss account. • DYNAMIC ENERGY ANALYSIS allows for the selection, in a simple and intuitive way, of HVAC system solutions at the highest levels, aimed at obtaining the best energy performance in buildings.